The tiny island of Gili Trawangan packs quite the punch: azure waters, white-sand beaches, incredible coral reefs, and a lively party scene. 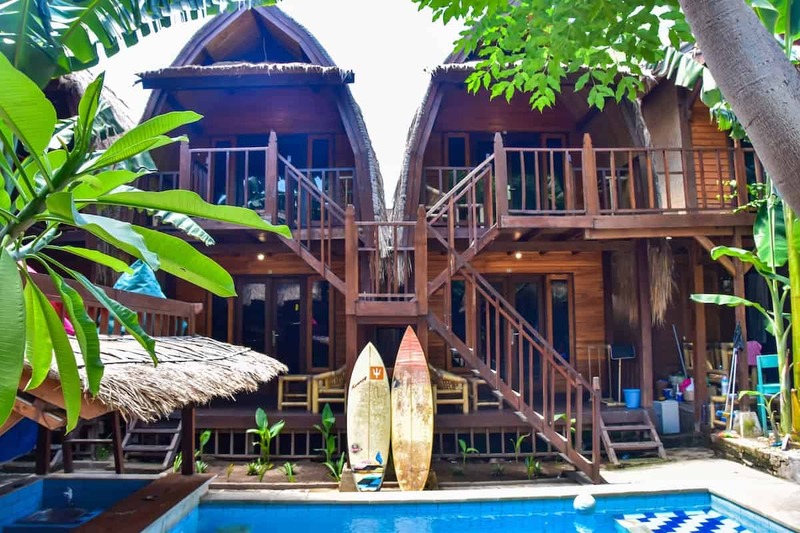 Even with its small size, there are an abundance of Gili Trawangan hotels and accommodation choices, ranging from lavish resorts to basic home stays. If you’re looking to meet other travelers, we’ve got a list of the top places to stay with a fantastic social scene. 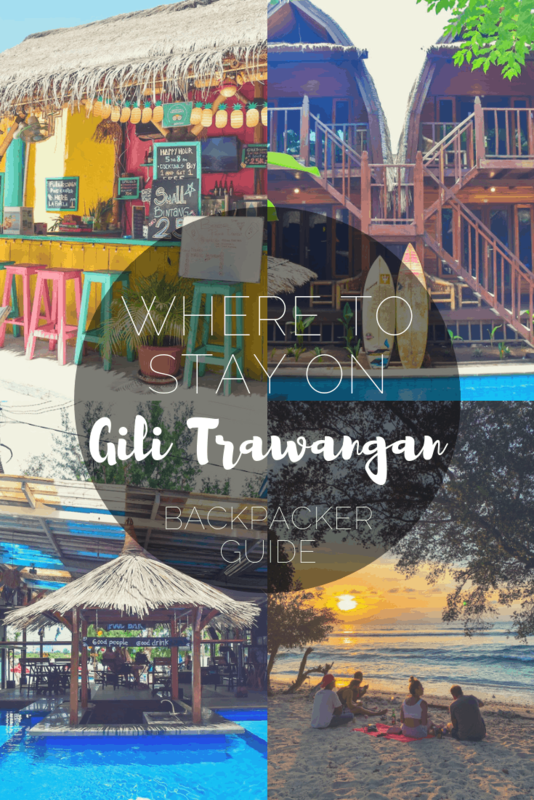 Read on for the best Gili Trawangan hotels for backpackers! 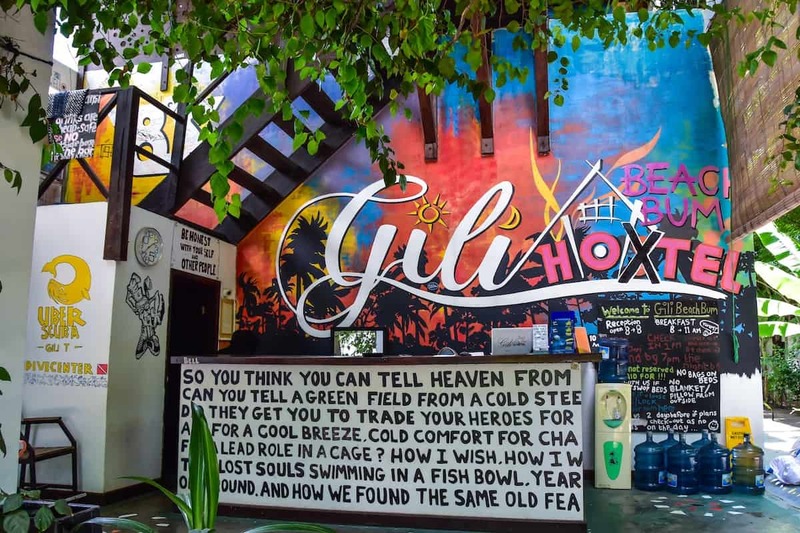 *Note: Hostels aren’t allowed on Gili Trawangan to allow local homestays and guest houses to continue to thrive. None of these are technically hostels, so we’ll refer to them as hotels. All “dorms” are rooms with three beds maximum. Splashes of color saturate this latin-themed hotel. 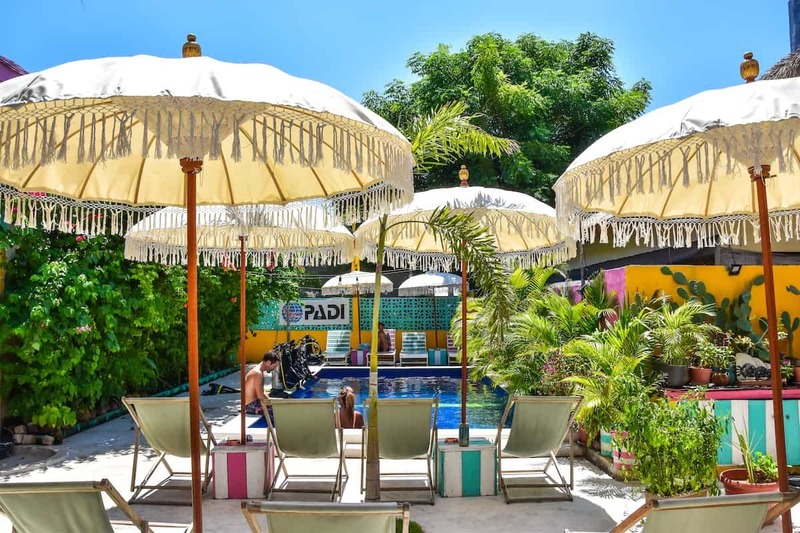 Like many Gili Trawangan hotels on this list, La Favela is also home to a dive center where guests can learn the art of SCUBA in their pool. 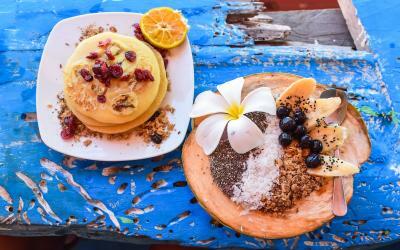 The staff here are some of the friendliest, most of them from South America, and are more than willing to help you find something fun to do while staying on Gili T. Don’t miss their BBQs, happening every night starting at sunset. 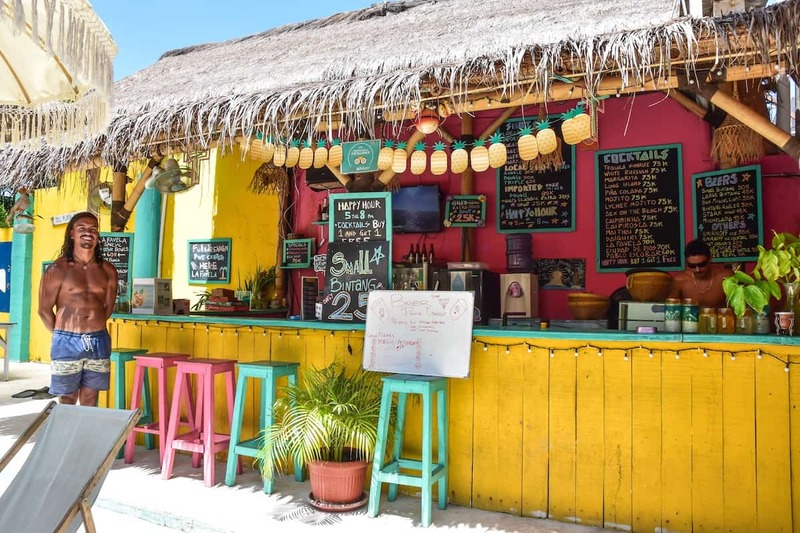 Their burgers are quite possibly the best on the entire island and you can enjoy their entire BBQ menu for 20% off every Monday, accompanied by some of the cheapest drinks in town. Dorm beds start at IDR 155,000 ($11 USD) and private rooms start at IDR 375,000 ($26 USD). 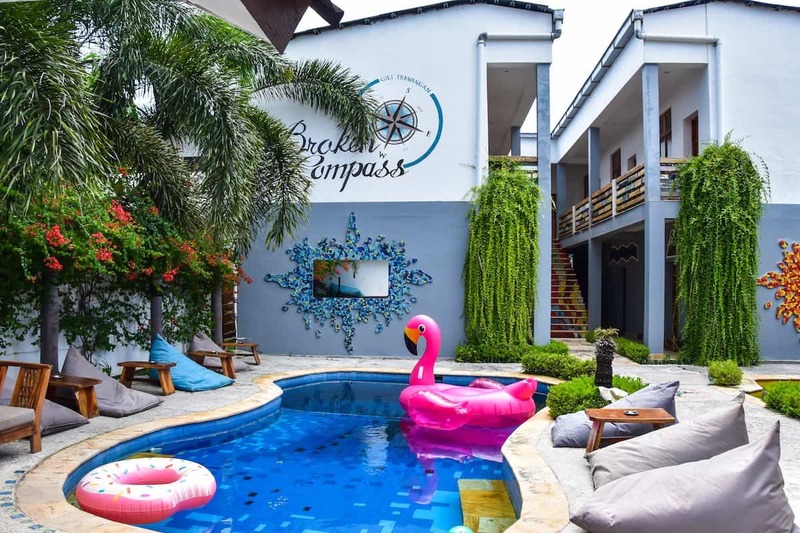 Voted as Indonesia’s Best Hostel in 2019 on Hostelworld, you’re definitely guaranteed a good time here. My Mate’s Place has a huge social area where they host nightly events. Get wild on Monday’s 10k Joss Night (that’s less than a dollar — brace yourselves), get competitive with your dorm mates at the beer bong tournament or gather the girls for Ladies Night. 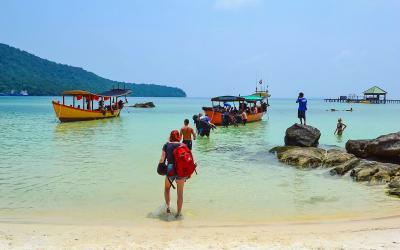 They also plan daily excursions like a paddle boarding trip, snorkeling trip and a beach cleanup. The owner also runs the only club on Gili T, Jungle, where you can find live DJs and the cheapest drinks in town. With over 100 beds (both dorms and private rooms), you’ll meet heaps of other like-minded travelers. Dorm beds start at IDR 200,000 ($14 USD) and privates are around IDR 600,000 ($42 USD). 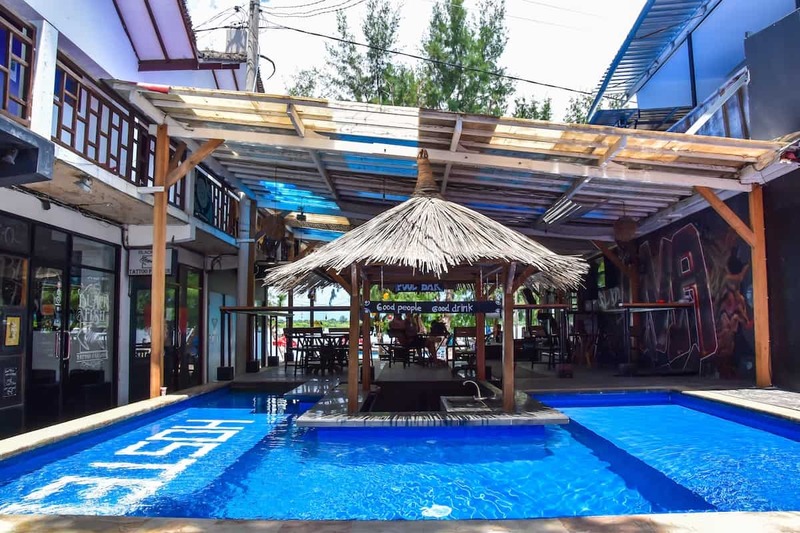 Located in the center of the east side strip just steps from the sand, is Gili Beach Bum Hotel. 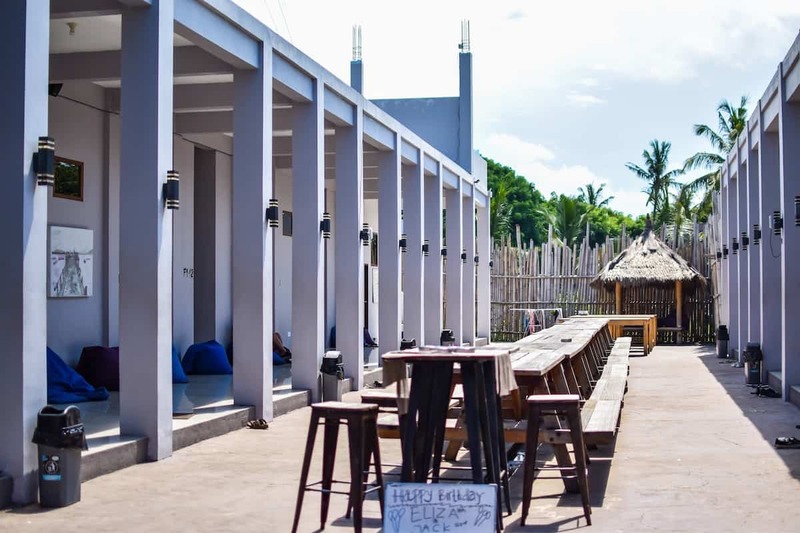 This was the first of its kind; the very first hotel on Gili Trawangan meant for backpackers with the sole purpose of bringing people together. Not only does it have the famous Lava bar out front with spectacular deals every night (hello dollar Saturday shots, mojito Mondays and Tuesday gin and tonics), but there’s also a tattoo parlor, barber shop, and Rock Bar (small, indoor dive bar that plays rock music, inquire at Lava for opening hours) connected to the hotel. 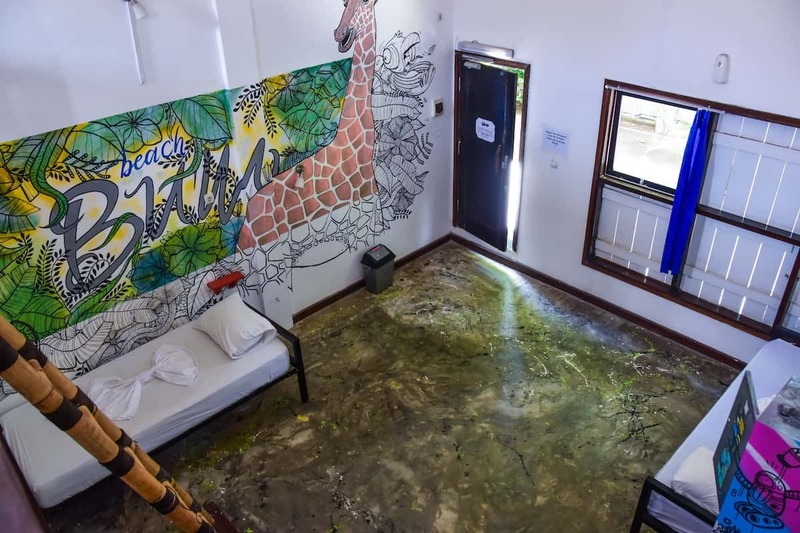 The rooms at Gili Beach Bum are massive, each decorated with unique artwork. Even if you don’t stay here, be sure to come to the weekly Rock and Roll Bingo nights on Fridays. Blasting all the classics for you to sing along to, this event is guaranteed to be a good time. 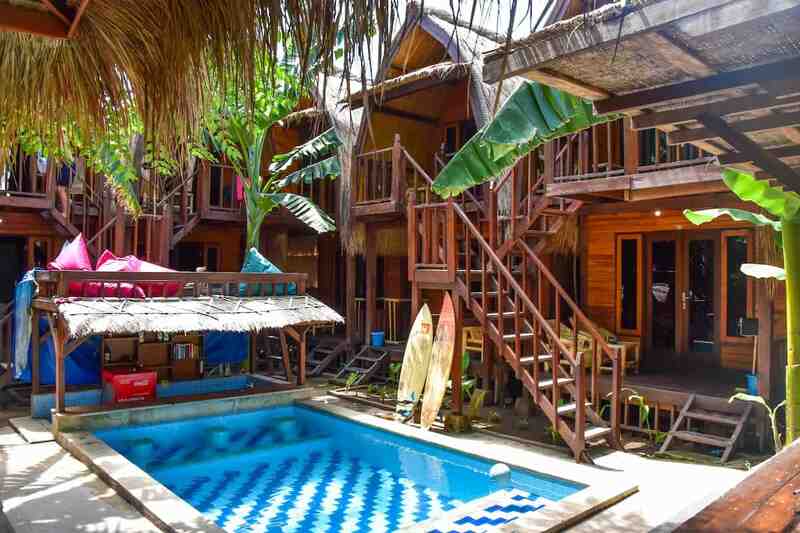 Dorms at Gili Beach Bum start at IDR 115,000 ($11 USD). 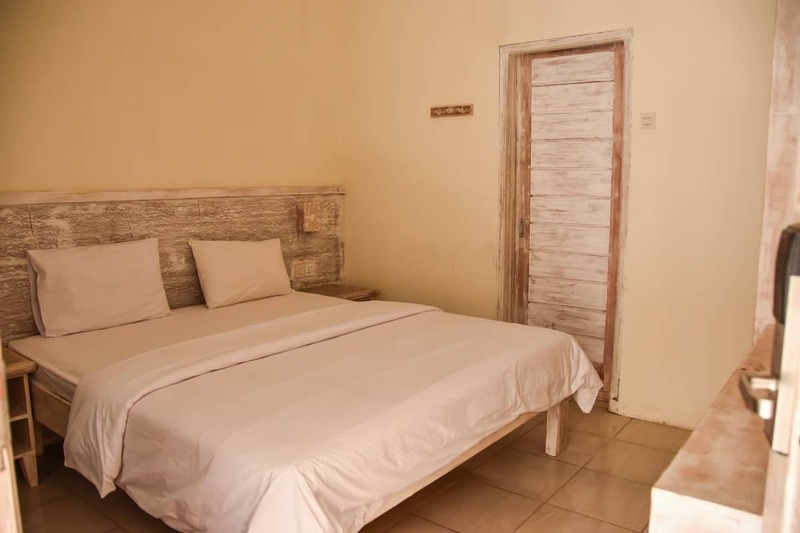 M Box is one of the bigger backpacker hotels on Gili Trawangan, with over 100 beds total. Take a dip in their expansive pool or get a game of water basketball going with your dorm mates. Feel free to indulge in their breakfast buffet (included in all bookings! ), as they have a small onsite gym where you can get a quick workout in before heading onto the main strip. 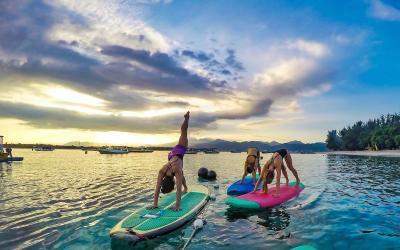 Yoga mats are also available for use, along with bike rentals for IDR50,000 ($3.50 USD) per day. If you want to check out some tours, just ask reception and they can help you organize snorkeling, horseback riding and more, along with other services like visa extension and boat transfers. 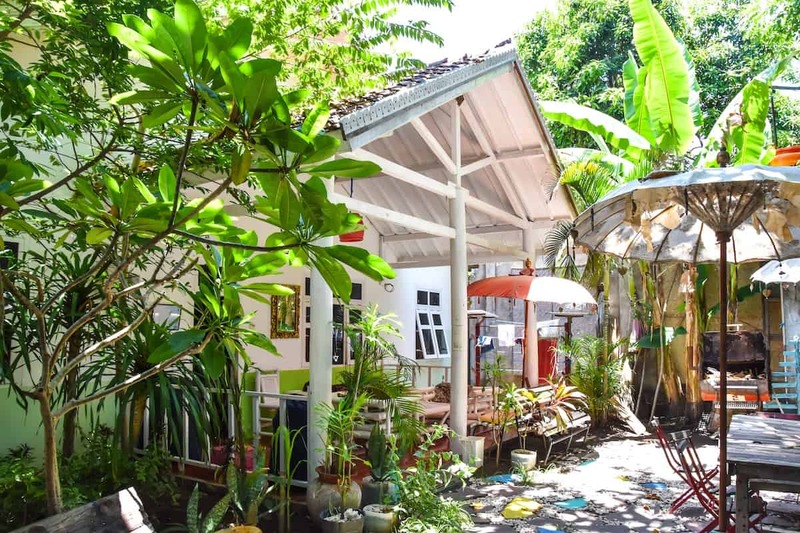 Their rooms are modern and super clean; dorms with aircon and hot showers start at IDR150,000 ($10.50 USD) and private rooms start at IDR550,000 ($39 USD). Just around the corner from M Box is their sister hotel, M Gili. If you’re looking for something a bit quieter and more intimate, M Gili is the perfect choice. Their rooms are all impeccably clean and ultra modern as well. Enjoy the laid back vibes at the pool or make the five minute walk to the beach. If you’re looking for more of a party scene, M Box is just a minute away and M Gili guests can enjoy all of the facilities here as well. With dorms starting at IDR110,000 ($7.50 USD), prices are hard to beat for the excellent facilities and amazing staff. 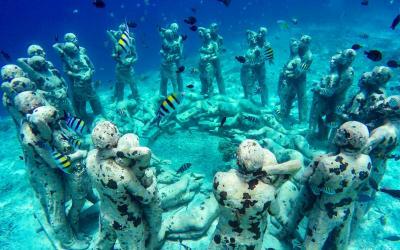 As its name suggests, this gem is artfully decorated and is a haven from the hustle and bustle of Gili Trawangan. Lounge at the pool, BBQ area and garden and meet dozens of other travelers from around the world. There’s also a yoga room and ping pong table for your entertainment. La Boheme holds daily events such as a bonfire, hill walk up to the Gili Trawangan viewpoint, beer pong tournament and a pool party. As a bonus, La Boheme strives to be as environmentally as possible. They recycle 95% of their waste (plastic is collected to be recycled, organic waste goes to a chicken farm, etc) and they encourage their guests to use the separate bins available to sort their rubbish. 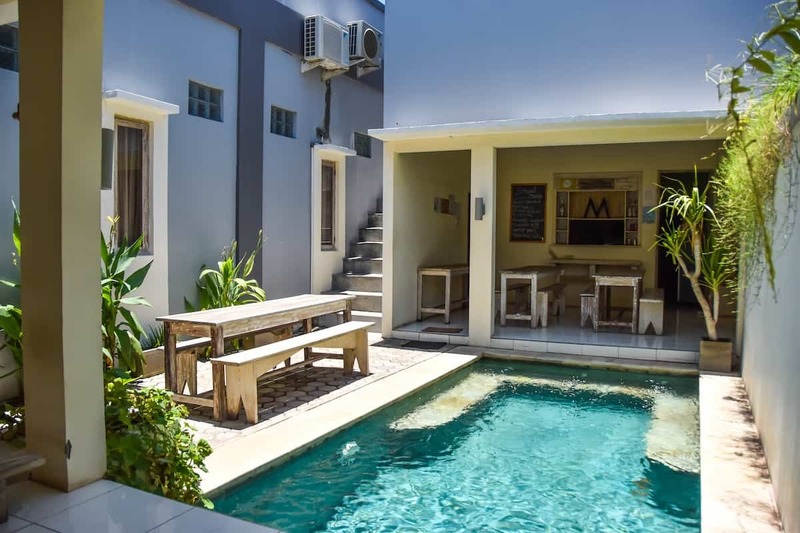 With rooms starting at IDR70,000 ($5 USD) for a fan dorm, prices are some of the cheapest you’ll find on Gili T. Private rooms start at IDR150,000 ($10.50 USD) for a fan room and IDR180,000 ($12.50 USD) for aircon rooms. 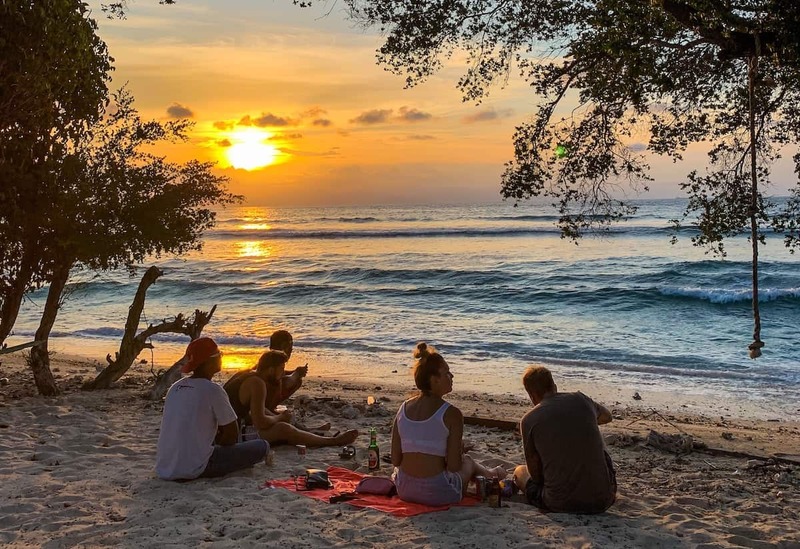 With daily and nightly events and excursions, Broken Compass will have practically planned your entire Gili T trip — and a fantastic one at that. 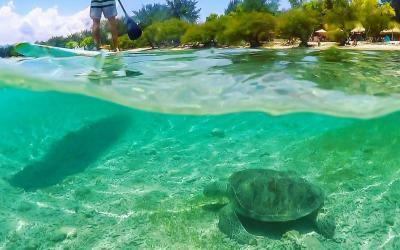 Join their snorkel tour and swim with the sea turtles, bike to the Gili T viewpoint, go on a day trip to Lombok or paddle board to Gili Meno. Nightly events include the popular pub quiz on Wednesdays, Flip Cup Friday, beer pong tournaments and food specials every night. 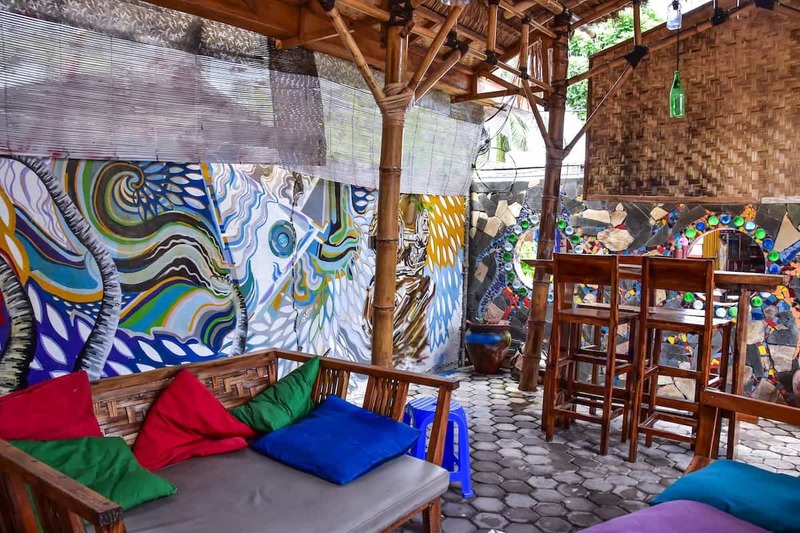 This Gil Trawangan hotel is adorned with colorful mosaics and plenty of lounge areas to hang out with new friends. They’ve also got a pool to cool off in if you can’t be fussed walking the block and a half to the beach. 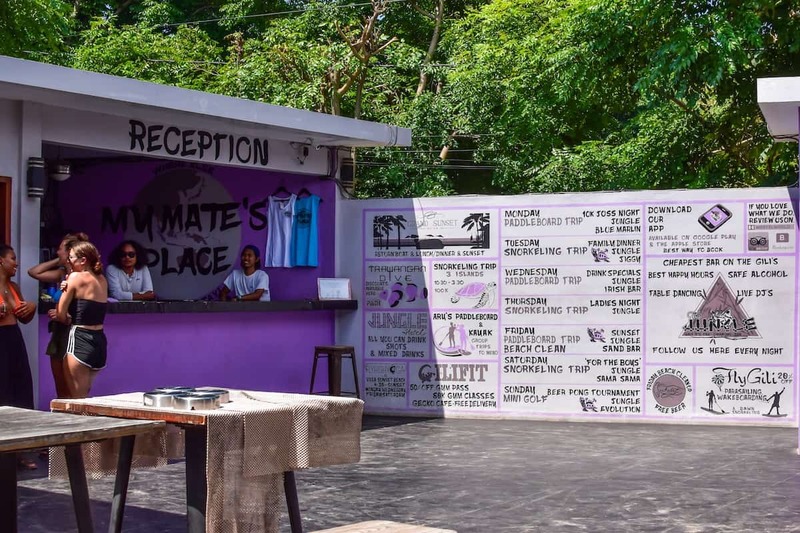 If you’re looking to go scuba diving while you’re on Gili T, they’ve got a dive shop, Compass Divers, and dive + accommodation packages to save you a bit of money. Dorm beds start at IDR140,000 ($10 USD) and privates start around IDR400,000 ($28 USD). If you’re looking to have a more local experience, Deep House is the perfect option. Tall trees shade the teak wood and thatched roofs of these traditional Indonesian bungalows. Many of the rooms have open-air bathrooms that Indonesia is famous for, allowing you to immerse yourself in nature. 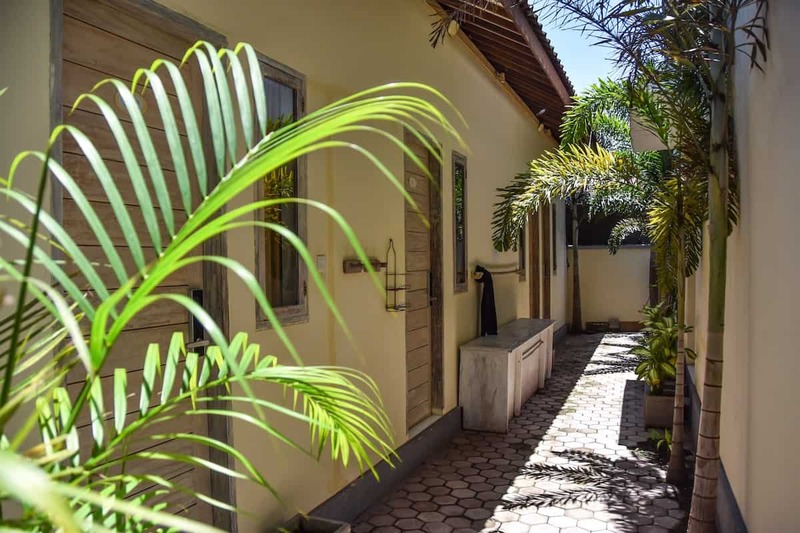 The owner is a former DJ, so you can bet that Deep House is constantly playing the best hits while you lounge at the pool or get drinks from the bar. The staff here is known to be incredibly friendly and helpful, providing you with everything you need during your stay. Rooms start from IDR200,000 ($14 USD) and as a bonus, breakfast is both free and served all day long. 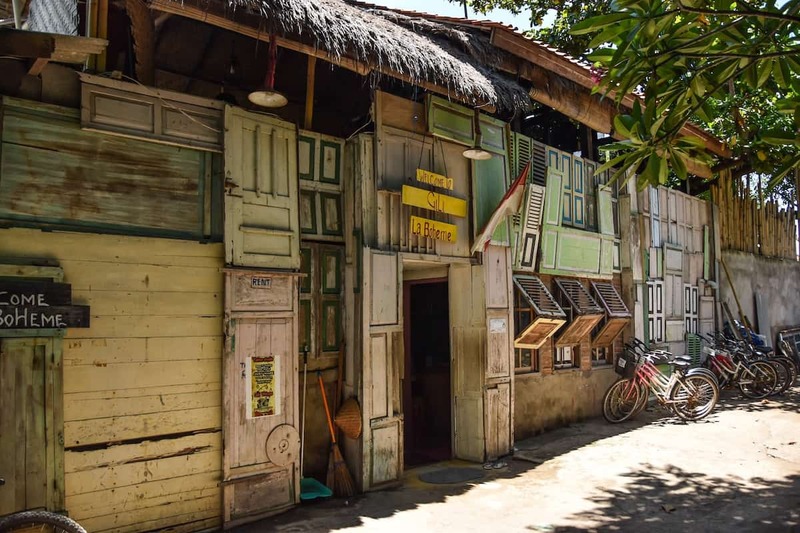 If you haven’t heard the news yet, Mad Monkey is opening its first Indonesia hostel on Gili Trawangan in 2019! 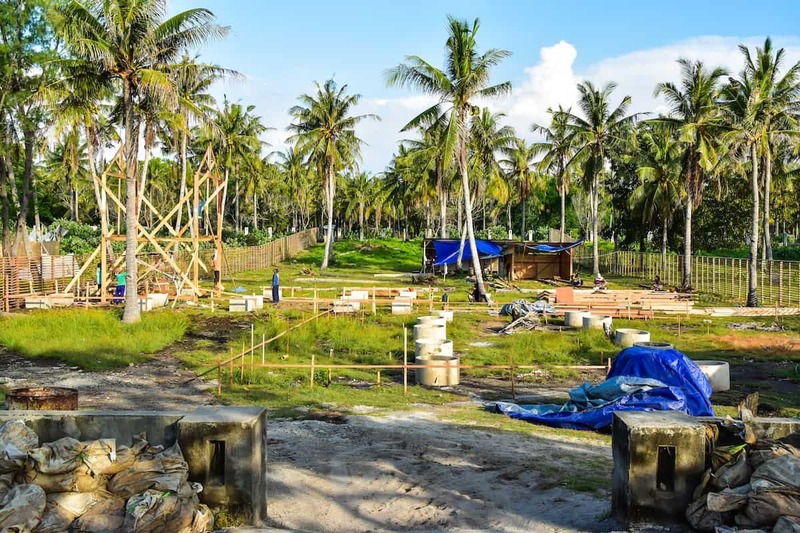 Watch our progress and stay updated so you can be one of the first Monkeys to stay on Gili T! 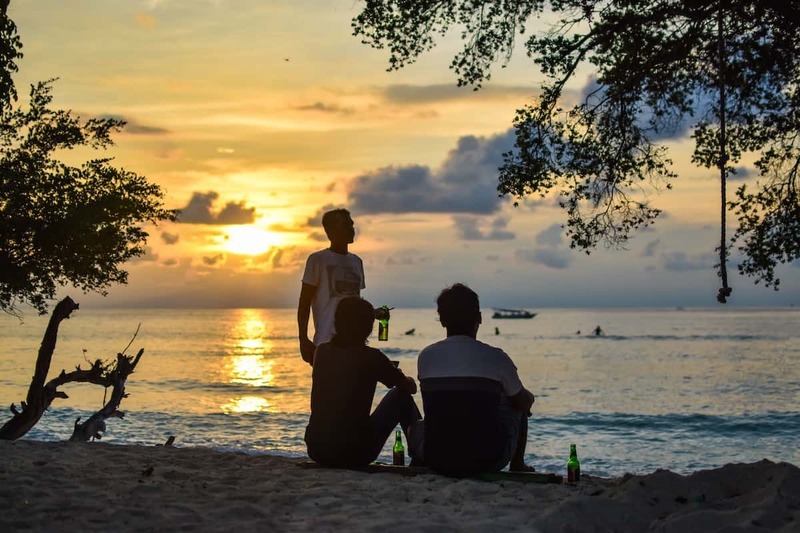 We’re situated on the west side of Gili Trawangan, perfect for sundowners! Follow us on Facebook and check out the website. 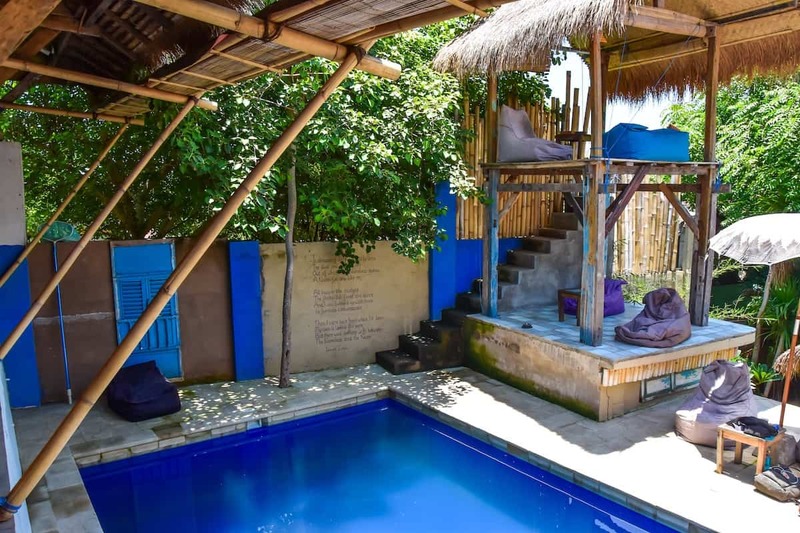 Looking for more Gili Trawangan Hotels and accommodation options for backpackers? 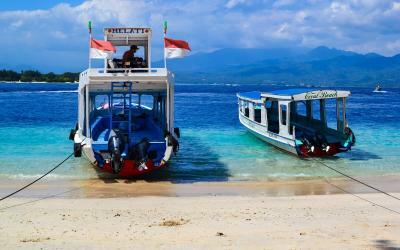 Check out these other articles about where to stay on the Gili Islands!